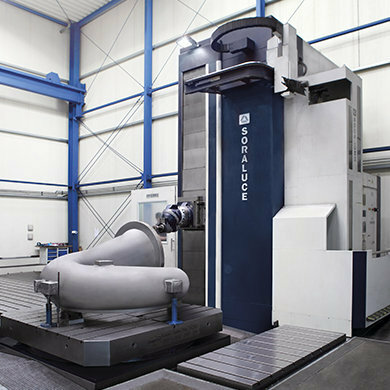 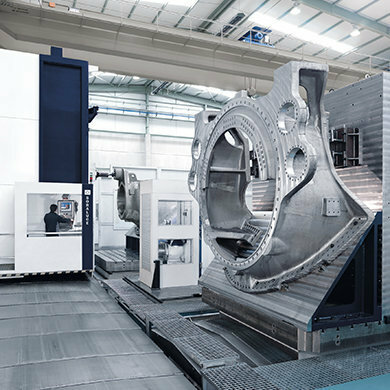 The SORALUCE FXR is a multi-purpose milling and boring machine offering exceptional versatility, enabling increased customer productivity. 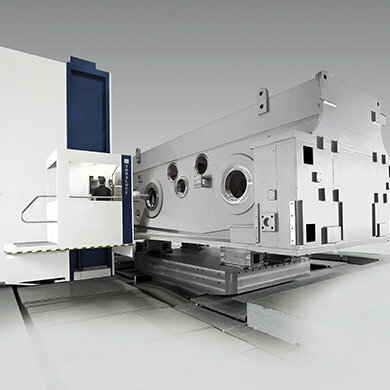 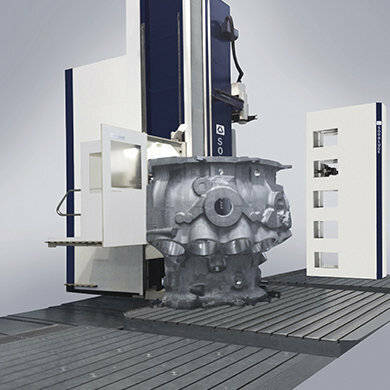 The SORALUCE FXR milling-boring centre can incorporate a wide variety of optional features and accessories such as different milling-boring heads, modular quill spindles, automatic head changing systems, automatic tool changing systems, floor plates, angle plates, auxiliary tables, rotary and rotary-travelling tables and many other special options, making it the most flexible machining centre on the market. 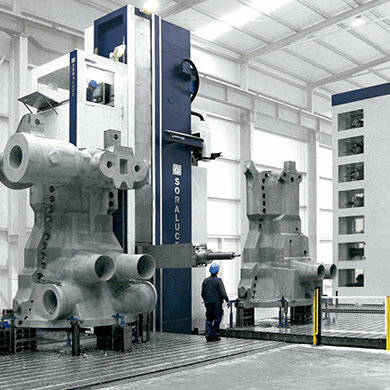 It is suitable for sectors such as the energy sector (wind power, gas, nuclear), shipbuilding, rail and capital goods.